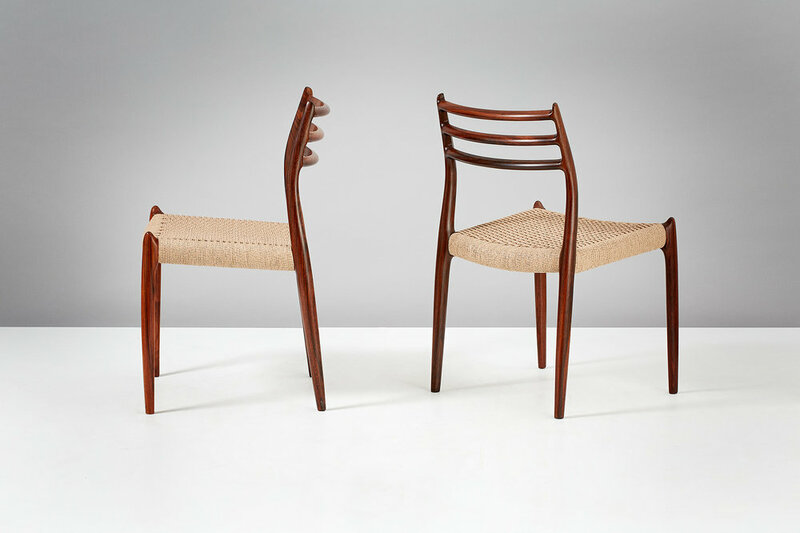 Set of rosewood dining chairs designed by Niels O. Moller for J.L. Moller Mobelfabrik, Denmark, 1962. Newly woven papercord seats. Sets of 6, 8 or more available by request.